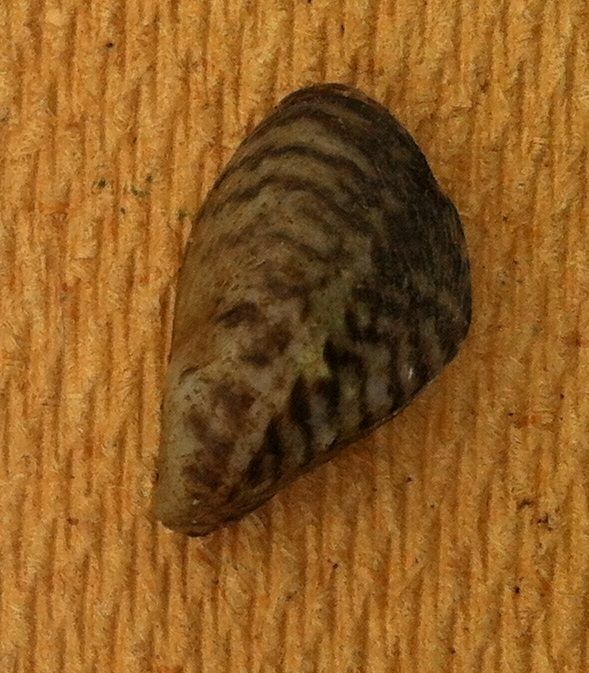 The invasive quagga mussel (Dreissena rostiformis bugensis), named after a species of zebra because of their striped shell, has been found in the River Thames at Richmond by the Zoological Society of London’s (ZSL) annual survey of the riverbed. Quagga mussels were first discovered in the UK earlier this year during routine water quality testing in the River Wraysbury, near Staines, but have since moved downstream to Richmond, with the potential to spread further. It is not clear how the quagga mussel arrived in the UK. This highly invasive species, native to Eastern Europe, can not only out compete British mussels for nutrients but are also prolific breeders. There is currently no effective way to get rid of quagga mussels once they are established in rivers. A closely related species, the zebra mussel, has already caused millions of pounds worth of damage in the US Great Lakes, where they first arrived in the late 1980s. The ZSL annual riverbed survey, first carried out in 2006, will continue to monitor environmental changes, including the presence of invasive non-native species, in the Thames. High resolution images available here: https://zslondon.sharefile.com/d/s2af92f7b3004f398. Images by John Sutton copyright www.clearwaterphotography.co.uk. Images by Sofia Castelloy copyright ZSL. The Port of London Authority (PLA) oversees navigational, safety and related matters on 95 miles of the tidal Thames from west London through the capital, and out to the Thames Estuary and the sea.